Ever since the talks about T-Mobile's acquisition by AT&T began, analysts have been trying to predict how such a deal would affect carriers and consumers alike. However, while the alleged results from the merger are a matter of speculation, there is one thing that is pretty certain – Sprint, the nation's third largest wireless carrier and the deal's biggest opponent, will find itself in an unenviable position. Falling even further behind Verizon and AT&T and having much less of a market share may lead to Sprint eventually going up for sale, and according to experts on the matter, CenturyLink is looking like a fitting buyer. While speaking in front of Congress last week, Dan Hesse, Sprint's CEO, did say that if T-Mobile really gets assimilated by AT&T, Sprint may end up having no other choice but to be acquired by another company. People in the know are quoting CenturyLink as the most suitable candidate to purchase Sprint since it has both the resources and the motives to enter the wireless market. CenturyLink is currently the third largest telecommunications company in the US, being outrun only by AT&T and Verizon, but so far it has been providing only landline services. Merging with Sprint may be a great opportunity for CenturyLink to expand its business further by offering wireless services as well. Of course, there are other potential Sprint buyers out there like cable and Internet providers, but we can only guess whether they are tempted by such a deal or not. Verizon may seem like a logical investor too, but so far, Big Red has not shown much of an interest either. Sprint's debt exceeds its Market Cap. Couple that with Sprint's majority ownership of Clearwire, which itself is swimming in red ink...I think Sprint is too toxic to be a takeover target. If the AT&T/T-Mobile merger goes through, I wouldn't be surprised if Sprint wasn't left to wither on the vine, and have the vultures pick up pieces in a bankruptcy auction. :-/ Not an envious position to be in. Does't this kind of in a way bring back the old Sprint with the land line services. Does anyone remember how centurylink came viably competitive. They purchased a little known company called Embarq which was sprint (landline) before being spun off and then made one more purchase of Qwest then changed its name to Century Link and now they are buying sprint (wireless). That will be great! Old sprint, better customer service, and MORE 4G! 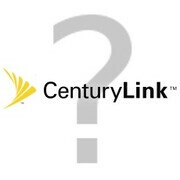 I just hope they dont remain with the name Century Link, Sprint is a better well known brand. Never heard of Century Link but I do & always wondered what happened to the company Embarq. When I worked for Sprint Embarq was not talked about much (at least in the Midwest area). At least Sprint's CEO has confirmed what we were all predicting that they wouldn't be able to stay afloat if T-Mobile merges with At&t. I wonder what that will mean mean for current customers if this does happen. May be bye-bye for the cheaper price plans but may be an opportunity to strengthen network coverage/girth. Guess we'll see what happens. Couldn't hurt. I will not deny that CenturyLink could be a candidate. However, VZW remaining quiet, would also make sense. Why should they make any mention of an interest in Sprint knowing this could effect the FCC ruling in an ATT/T-Mobile merge? They have the chance of purchasing Sprint if the deal goes through. This would solidify them as the largest carrier once again. Once a duopoly comes to fruition, it does not matter whether VZW or ATT is number one. ATT and VZW know this. So, I propose that VZW does have an interest. Another megacarrier would be dangerous for the current two top carriers. VZW would not be happy settling as a potential "Third Largest" carrier. Corporate games require strategic moves. In an industry as regulation lacking as the wireless world, each carrier plans accordingly to groom advantages in their favor. I am willing to say that if this talk of a CenturyLink/Sprint merge becomes more prevalent, VZW may become more vocal against the ATT/T-mobile merge. Until then, VZW will absolutely remain mute. John B. This makes no sense at all..If you remember correctly Sprint was forced to split it's wireline services into Embarq as a stipulation of buying Nextel. Sprint has every right to contest the purchase of T-Mo based on this fact. At the time Nextel was given a big chunk of the new spectrum because of the intereference with emergency channels. That didnt give them much leway with the FCC and Sprint did not put up much of a fight because it wanted that spectrum and this is a reason Sprint is still very valuable. I'm going to make a prediction now,,,Because the ATT and T-Mo merger is being contested, The FCC is going to set prescident and deny it to prove that the Telcom Act of 1996 was made for a reason and ATT is going to be out of luck. That or they are going to be force to split with their wireline services too. Without knowing how the AT&T-Mobile merger ends up, how it is handled by AT&T, what they have to give up, where Sprint stands after the dust settles and their own reorganization as they look at LTE and phase out iDEN, isn't this just kinda spitting in the wind gossip? I mean, Sprint could buy three or four small providers in the time it takes AT&T to get settled. AT&T could botch the merger. Toys-R-Us could bid on Sprint. Who knows?